When it comes to getting your hands on a signature superhero costume—one that people will remember you for—you’ve pretty much got three options. You can DIY it like a young Peter Parker, hire an emotionally-disturbed criminal to make you one like Daredevil, or you can request a meeting with Edna Mode. Though she’s incredibly difficult to get ahold of and known for being one of the fashion industry’s most mercurial people to work with, there is nothing quite like slipping on a custom-made Mode ensemble before flying out the window to do some superheroing. A mode suit doesn’t just project its wearer from danger or accentuate their super abilities, it says something about their character and who they are. If you talk to any of the capes that Edna’s outfitted over the years, they’ll talk your ear off about how incredible her sense of style is. But if you really want to get a sense of what a force of nature she is, you’ve got to hear the thoughts of her peers. In s new video retrospective, fashion icons like Heidi Klum, Andre Leon Talley, and Rachel Zoë sat down and shared stories about their personal relationships to Edna and the legacy that she’s built for herself as the stylist of the superheroes. 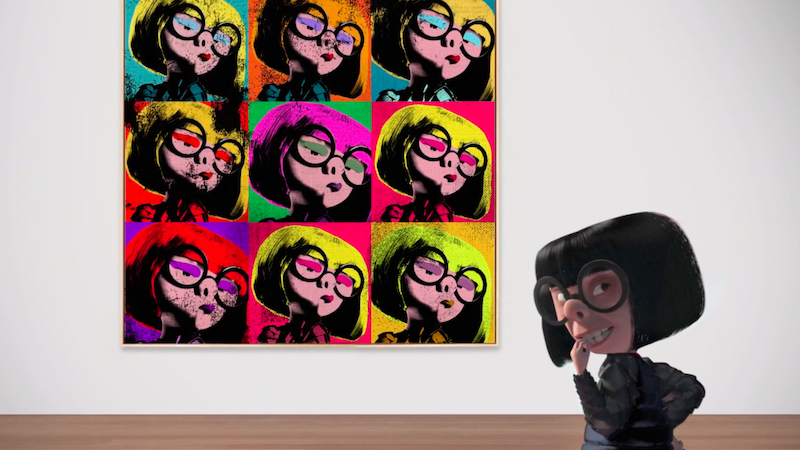 While we’re all entitled to our various opinions about capes, it’s safe to assume that by the time we see Edna again in The Incredibles 2 next year, she’ll already be dreaming about super-looks two or three fashion seasons in the future that we can scarcely imagine.